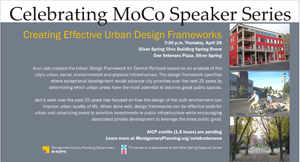 The Planning Department's speaker series focuses on planning and how we can connect the dots between health, knowledge, culture, food, energy, ecology, economy, resources and infrastructure — the elements of sustainability. Don't miss these free, informative, occasional sessions about ways to forge great communities. Continuing education credits available for planning professionals for selected presentations. Tired of hearing arguments about rail versus Bus Rapid Transit? Unsure what to do with the hype around the "latest" transit technology, whether it's streetcars, monorails or rapid transit? Jarrett Walker, a 20-year international consultant on public transit planning and policy, will make the case for focusing on network design and trying to maximize the usefulness and reach of quality transit service. Walker will explore how to think about transit to create systems that are attractive because they fit the community's needs. When we probe transit's essential geometry, we find that it asks us hard questions: Should we focus on ridership or on perceptions of equity? Should planning begin with the rush-hour or the all-day period? These philosophical questions must be understood and debated by policymakers and residents before they can become resilient, useful transit plans. Examples of his work integrating transit with planning include designing comprehensive bus service redesigns in San Antonio, Boise, Minneapolis-St. Paul, Reno, Spokane and four southern California suburban areas. 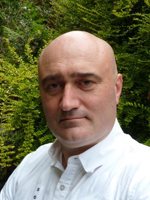 He also has served as project manager on projects in major cities throughout Australia and New Zealand. His focus on the U.S., Canada, Australia and New Zealand is not by accident. The relatively recent development of these countries, combined with a lot of land, have resulted in low-density, car-dependent communities that are now clamoring for a congestion fix. Walker's recently published book, Human Transit, addresses how public transit can address a range of community problems, from traffic congestion to economic development. Experts on sustainable architecture discussed movements that are gaining support among forward-thinking planners and architects worldwide. Both groups have established professional training programs to help transform their ideals into reality. Learn how these building models work toward slowing climate change by reducing energy demand and greenhouse gas emissions. The session previewed the goals and principles of the DC 2030 and Living Building challenges for planners, developers, home builders and renovators – anyone interested in advancing sustainability. Arun Jain created the Urban Design Framework for Central Portland based on an analysis of the city's urban, social, environmental and physical infrastructure. The design framework specifies where exceptional development would advance city priorities. Jain's presentation highlighted his work over the past 25 years on how the design of the built environment can improve urban quality of life.